Climbing up the Cosmic Praise tower. The spark chamber inside Cosmic Praise. Dragon Man showing off his gift "Burnie the Worm". The Roof of Sound Puddle, with 5000 sound reactive LED lights. Each year, tens of thousands of people from around the country make their way to Nevada’s Black Rock Desert for a week-long festival known as Burning Man. It’s a celebration of art and self-expression, but it’s also permeated with science and technology. 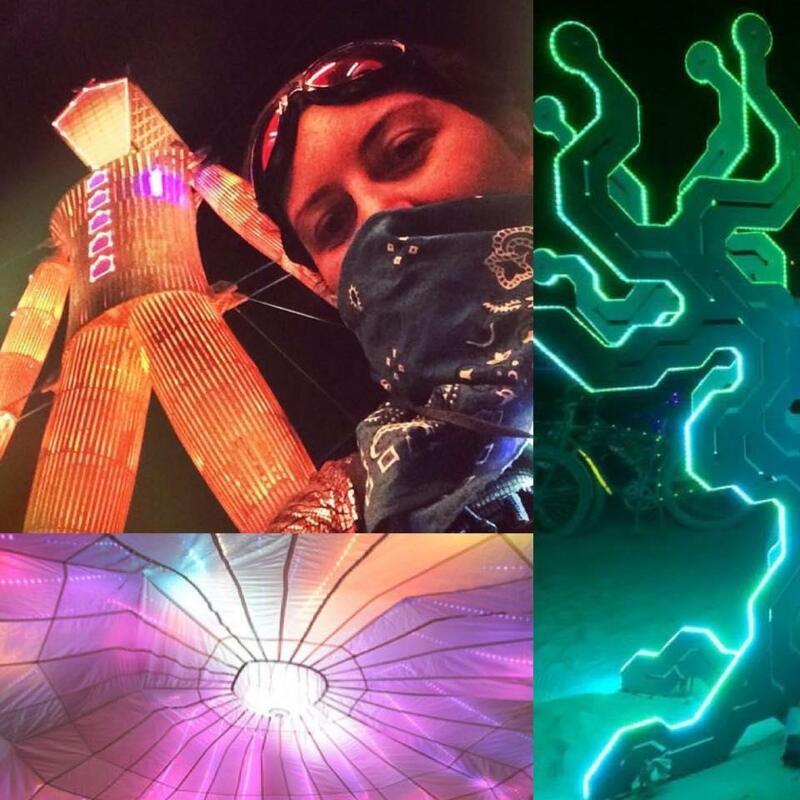 WCAI on-air host and Living Lab production assistant Alecia Orsini went to Burning Man this year with a mission – to find all the science she could. The Black Rock Desert, dust storm and mountains in the distance. Some of the projects she encountered included a camp melting Playa dust into glass, Cosmic Praise - a three story tower with spark chamber inside that would light up when cosmic rays passed through it, the first-ever Black Rock Observatory and a sound reactive dome of light called Sound Puddle. 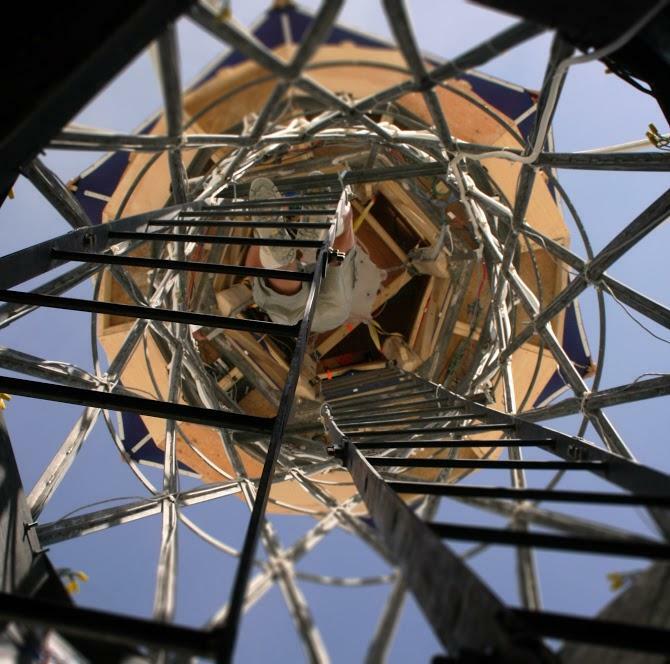 Burning Man is a harsh place to live, let alone build science inspired art. 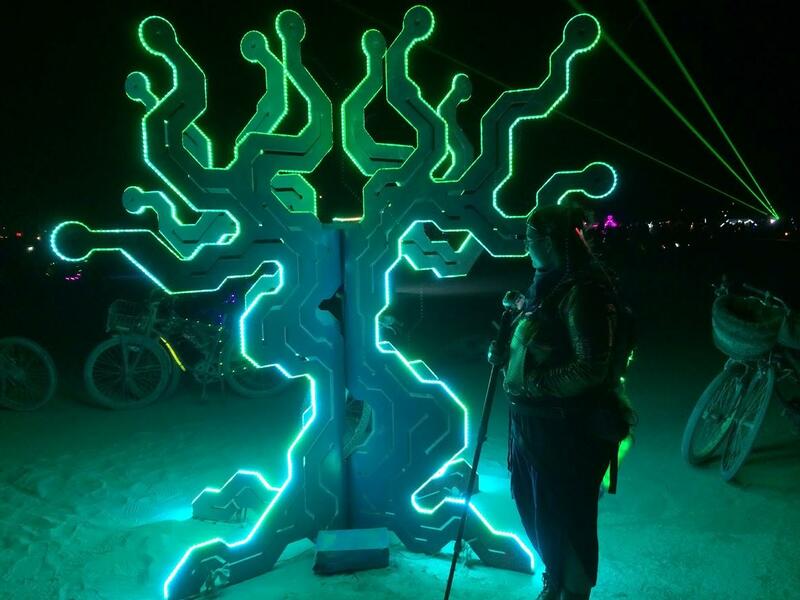 Alecia Orsini with the Man, a circuit board tree, and the ceiling of Sound Puddle. It is also a place to collaborate and experiment. 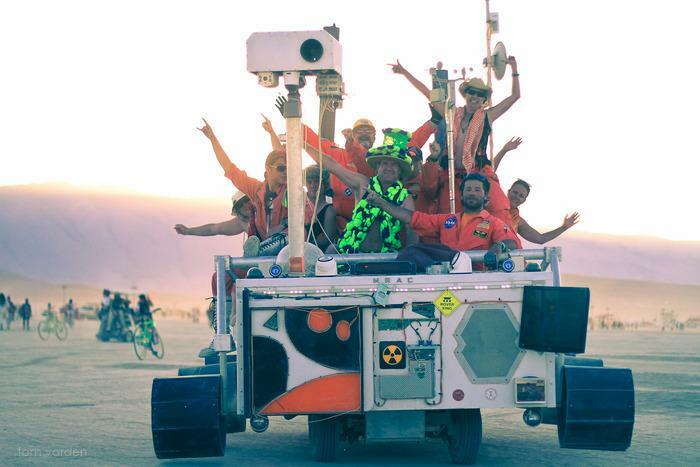 John English, creator of Sound Puddle, described the festival this way "I identify Burning Man as engineering sport." Many of the Burners who Alecia encountered echoed this sentiment, that if you wanted to show of your "high voltage" science art, this was the place to do it. Wonder what Sound Puddle looked like? Here is a short video of the glowing dome. Dragon Man demonstrates his gift "Burnie the Worm"
Burning Man is a week long festival in August that takes place in the Black Rock Desert of Nevada. 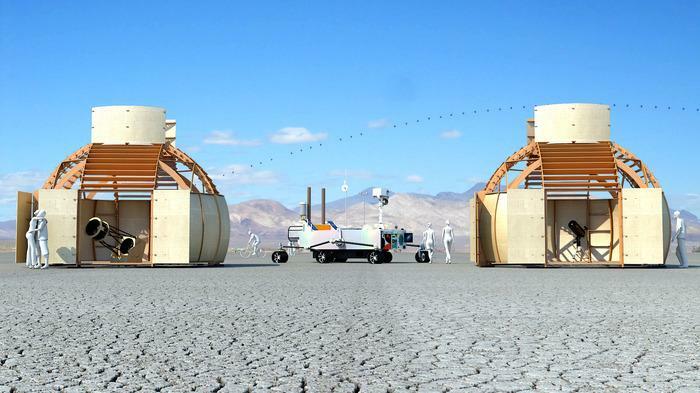 It's a harsh environment to live and camp for a week, but Burners (what you call someone who goes to Burning Man) live for the challenge. One of the defining elements of the experience is the Black Rock Playa, the desert itself. Unlike most deserts, it is a dusty alkali flat from an ancient ocean or lake bed. 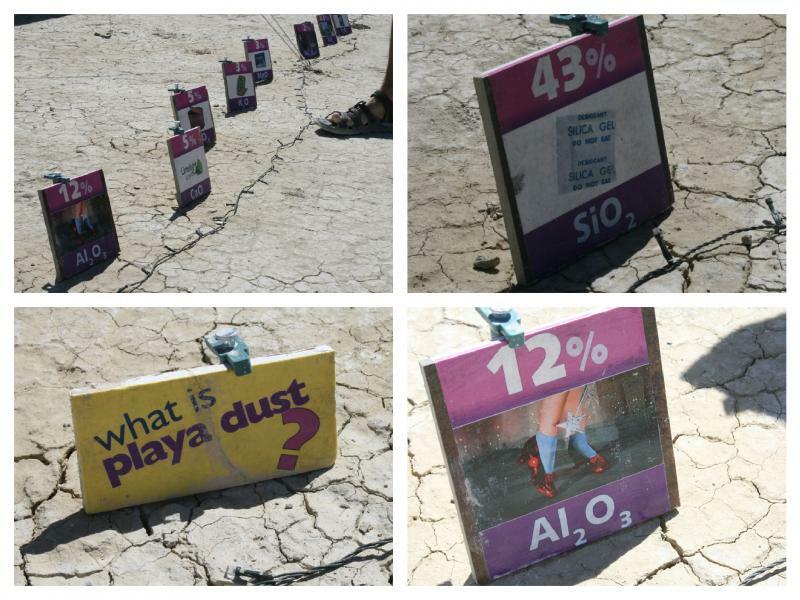 Two Burners from Medford Massachusetts, upon studying the chemicals that make up the dusty playa, concluded that they should be able to make glass from the dust.